When you have gaps in your smile, it is difficult to smile and laugh with confidence. Missing teeth make it harder to dive into your favorite foods, and can ultimately affect your diet. You may also experience a speech impediment if you are suffering from tooth loss. No matter what problems missing teeth are creating for you, life is always easier with a full and complete smile. The latest and greatest dental technology makes it possible to restore a smile that looks, feels, and functions naturally! Dental implants are small titanium rods that are surgically placed into the jawbone. They act like natural tooth roots by stimulating your jawbone and anchoring your new teeth. Dental implants are restored with attractive dental crowns, bridges, or dentures. The benefits of dental implants are endless! A few of our patients’ favorite advantages of dental implants are listed below. Appealing Aesthetic | Your dental implants smile will be both beautiful and believable. Porcelain restorations are extremely lifelike, giving you a realistic yet eye-catching smile. Natural Power | Dental implants provide all of the bite force of natural teeth, plus some! With a little practice, you’ll be able to chew and speak with ease. Simple Maintenance | If you uphold basic at-home care habits, your dental implants should last you a lifetime. Brush, floss, and see Dr. Pryor regularly to ensure the longevity of your dental implants. Bone Preservation | Tooth loss leads to jawbone deterioration, which, in turn, leads to a collapsed and aged facial structure. Dental implants stimulate the jawbone, which will prevent it from deteriorating or falling. If you need to replace one or more teeth, we offer incredible solutions at Pryor Family Dental! 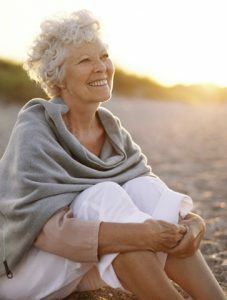 We are excited to provide you or your loved one with all of the benefits of dental implants. Contact us today to schedule an appointment.